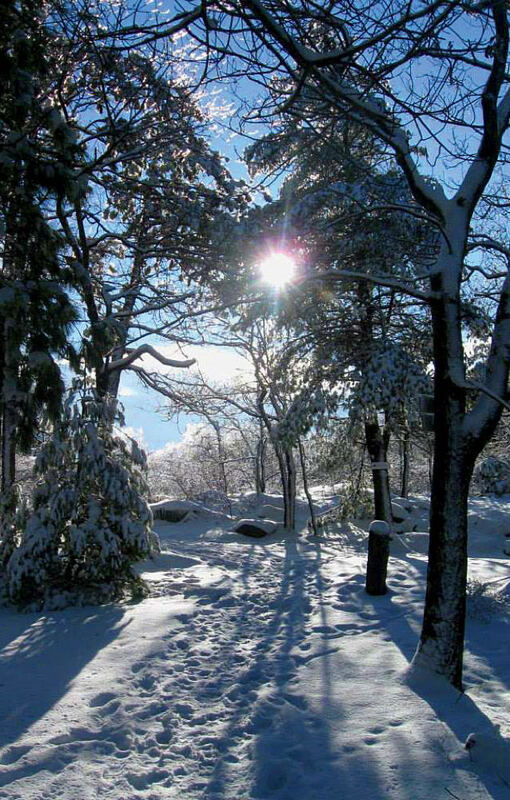 The Blue Hills Reservation offers treks, along with cross-country and downhill skiing. 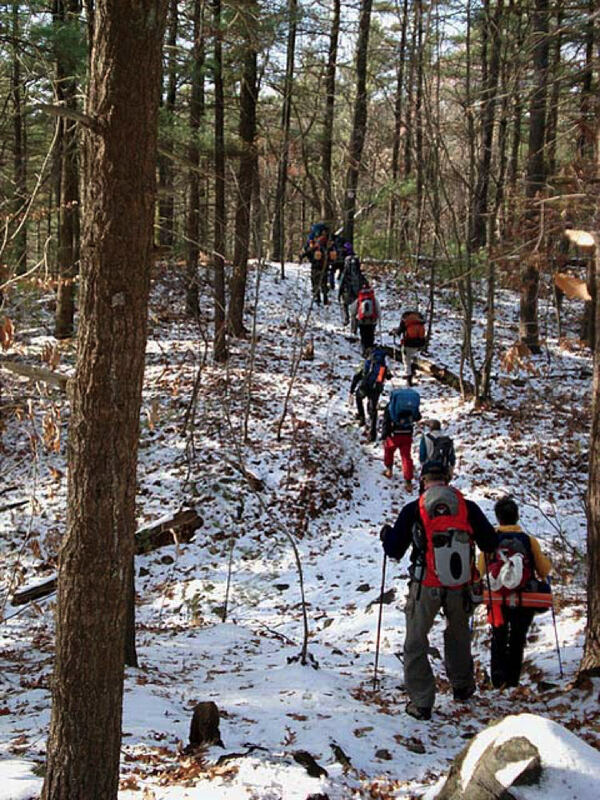 A chapter of the Appalachian Mountain Club organizes winter hikes in the Blue Hills. The Blue Hills Reservation spans more than 7,000 acres, forming a scenic chain of largely unspoiled nature, just south of Boston. It’s the largest state-owned green space that caters to year-round recreation—and, even rarer, it’s accessible by public transportation. In the winter, the golf course is transformed into a cross-country skiing haven, and other sections of the park are earmarked for downhill runs, mountain biking, rock climbing, and horseback riding. Urban-dwelling hikers especially flock to the reservation’s 125 miles of trails, notes Catherine MacCurtain, a leader of the Appalachian Mountain Club’s Southeastern Massachusetts chapter: “Otherwise we have to drive all the way to New Hampshire.” The park’s 22 hills offer a surprising array of treks, she assures, from beginner paths to the challenging Skyline Trail, which stretches across the range, offering perfect views of Boston’s skyline and the harbor islands. The point, really, is getting people together to enjoy winter, instead of leaving them to sit around the house. “We’ve found,” MacCurtain adds, “that once they get the right clothing and get out there, they’re not cold at all, and they enjoy it.” The group stops along the way for snacks and lunch, but the pace is brisk; non-Appalachian Mountain Club members and fledgling hikers are welcome, but they should be in reasonably good physical condition. And, at least after the first snowfall, proper attire, hiking boots, and tread spikes or chains that increase traction are required.